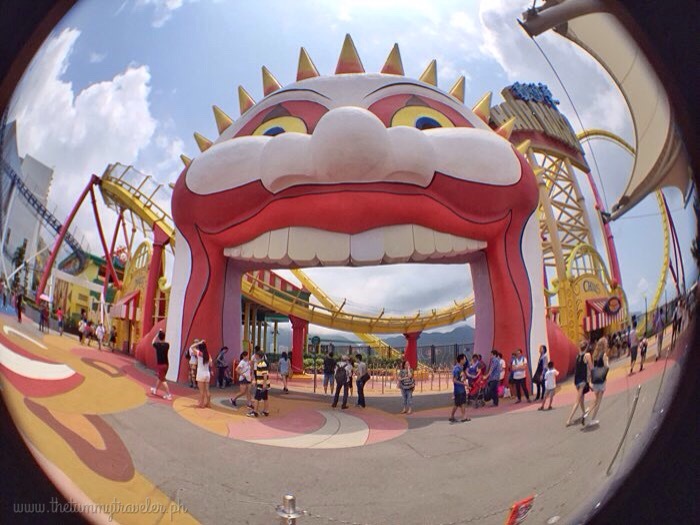 Ocean Park Hong Kong - Unleash the kid in you! 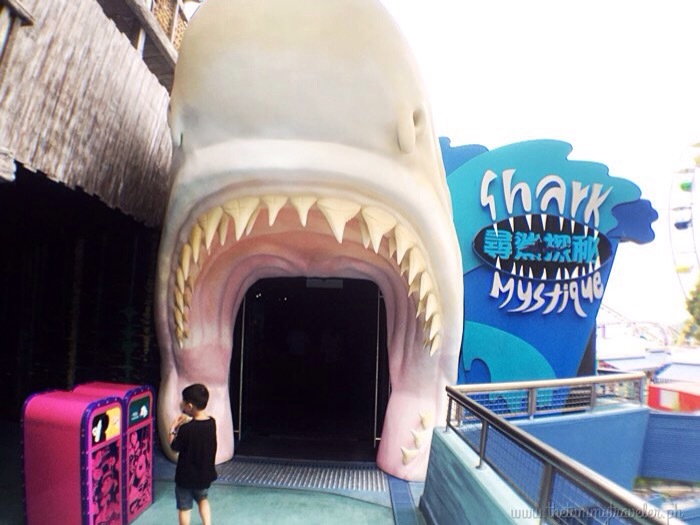 Ocean Park Hong Kong – Unleash the kid in you! For a small place like Hong Kong, there’s so much to do. From shopping and looking for great finds, restaurant hopping to sightseeing, including allocating 1 whole day to visit Ocean Park Hong Kong. I am no theme park fanatic. The mere thought alone of going around the park and trying out different rides and attractions makes me tired already! The last time I was at Ocean Park Hong Kong was back in 1997 when my eldest child wasn’t even born yet! 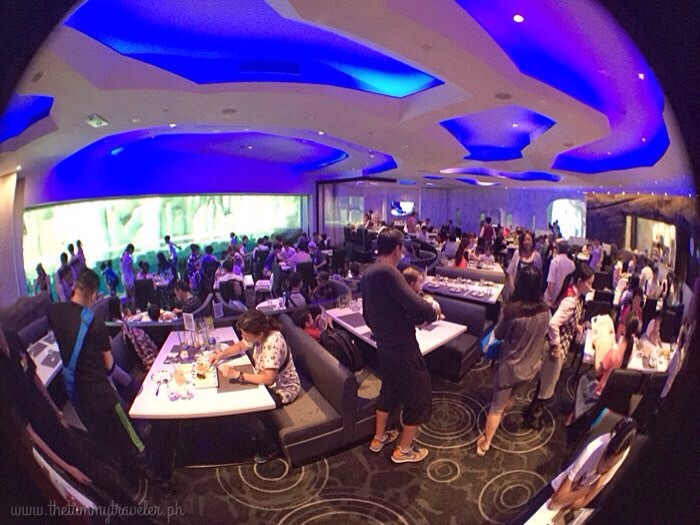 But to my surprise, this place has grown and developed so much since then! Revisiting Ocean Park Hong Kong, I knew I was in for a real treat! Just a piece of advice, be in your comfiest clothes, wear the perfect walking shoes and bring bottled water as it gets really hot. So, best to constantly drink up and hydrate! 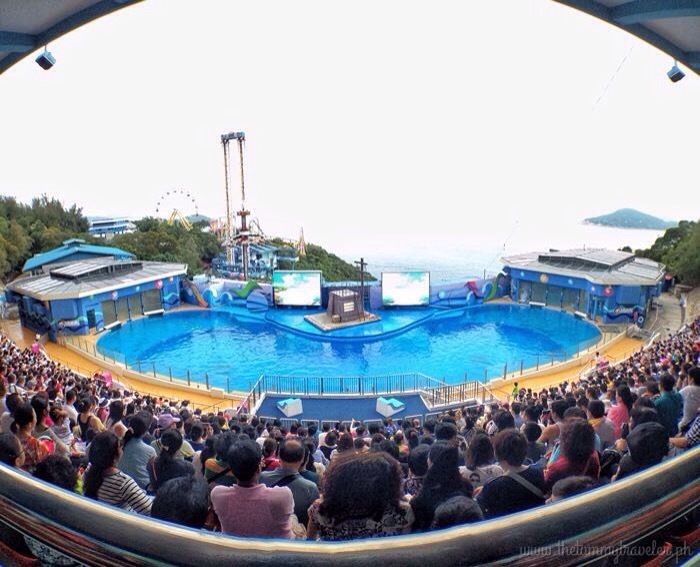 Ocean Park Hong Kong can be found at the southern side of Hong Kong. This 91.5 hectares of land has two attraction areas: the Waterfront and the Summit which are connected by Cable Cars and the Ocean Express tunnel funicular system. I made a short video during my 8-minute ride in one of the cable cars at Ocean Park Hong Kong. There are 252 cars that can transport 3,600 visitors per hour to and from the Waterfront and the Summit. 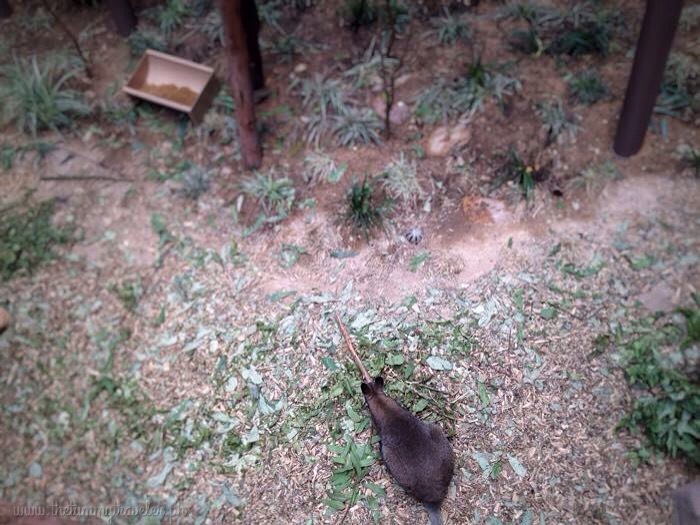 So, what does one really do at Ocean Park Hong Kong? A WHOLE LOT! Our 9-hour tour wasn’t even enough to cover everything! So, let me start off with the Waterfront area. You’ll have a chance to see over 5,000 fishes in over 400 species – from the scalloped hammerhead shark, manta ray to the Japanese skipjack tuna. As you go further, you will pass through the Reef Tunnel that kind of reminded me of our very own Manila Ocean Park but much grander and bigger! 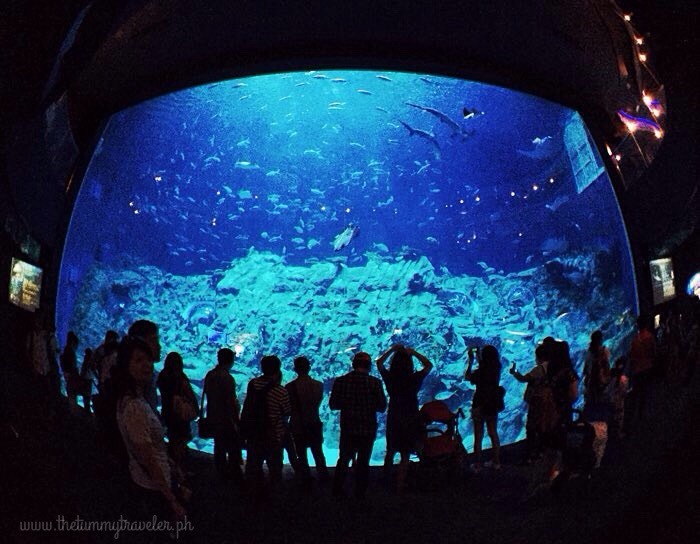 Don’t forget to look around to see the various fishes and manta rays. It literally felt like I was under the sea! Towards the end of the gallery, you will see the world’s largest viewing dome in a 13-metre gargantuan viewing panel that looks like a giant movie screen. There were more sea creatures and fishes I haven’t seen in my life! It was just incredibly beautiful! We also strolled down the streets of the OLD HONG KONG area to experience how it was during the 50’s and 70’s – culture, history and street food! There are at least 70+ local street food treats available to reminisce the flavour of old Hong Kong. 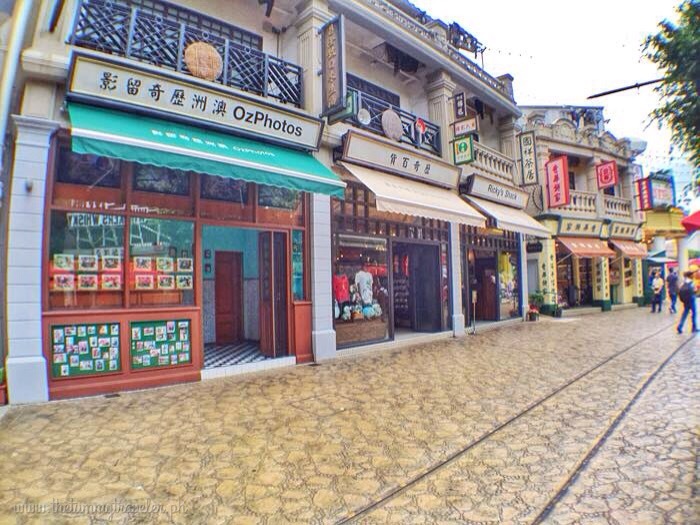 Many nostalgic artifacts are also featured in this particular area of Ocean Park Hong Kong that will take you back in time. Everything is picture worthy! At the Waterfront, you will also see Hong Kong’s first-ever attraction themed on South Australia – ADVENTURES IN AUSTRALIA. 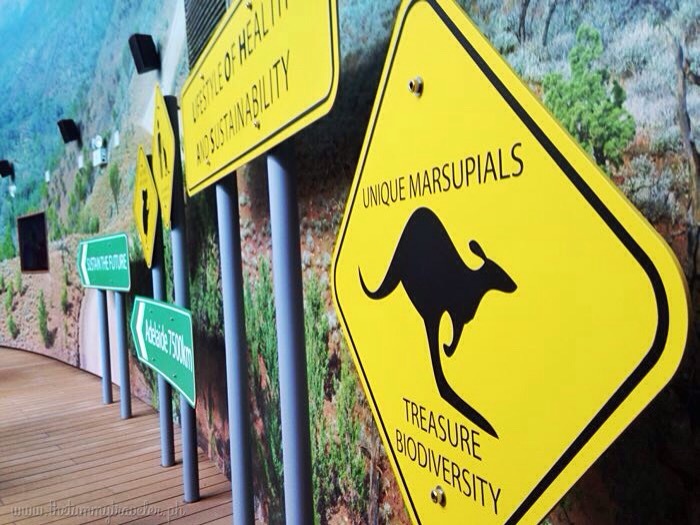 Before entering the attraction, a short video is played to showcase South Australia and the great Australian Outback. 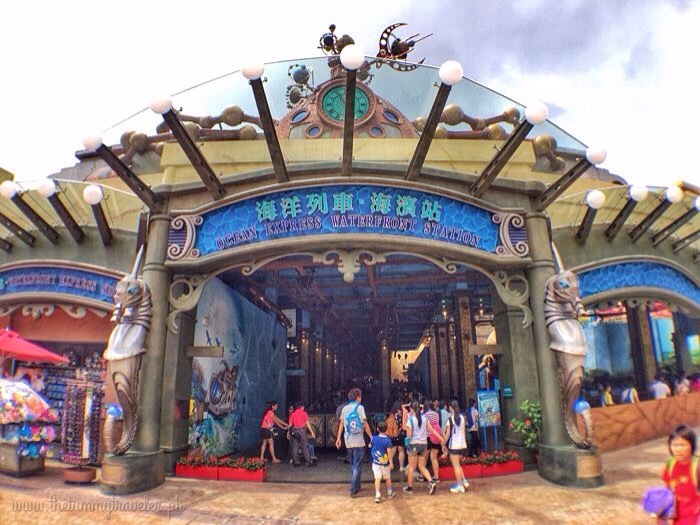 The second area of Ocean Park Hong Kong is the Summit which features animal and ride attractions that provide exhilarating fun to your heart’s content. 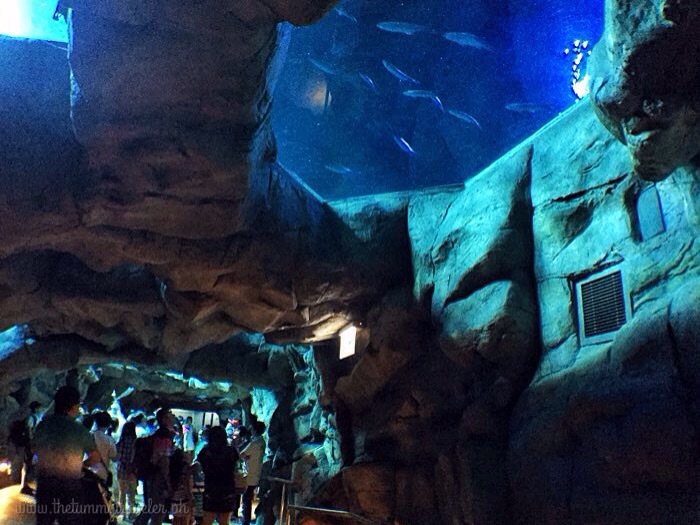 The SHARK MYSTIQUE attraction in Ocean Park Hong Kong is one of the largest shark exhibits in Asia. 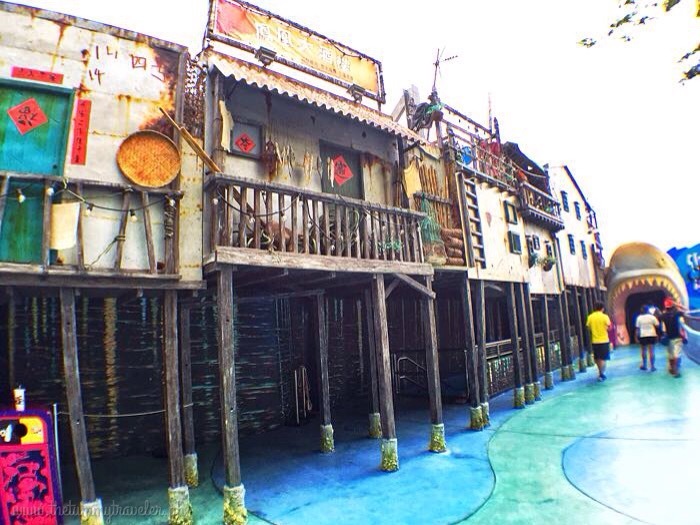 The area before the entrance is reminiscent of old fishing villages. It emphasises the relationship between the ocean and humans. At Shark Mystique, you get to connect with, and appreciate sharks, as well as know more about the misconception that led us to fear them. You will also learn about the impacts on the marine ecosystem brought about by the drop in shark population. 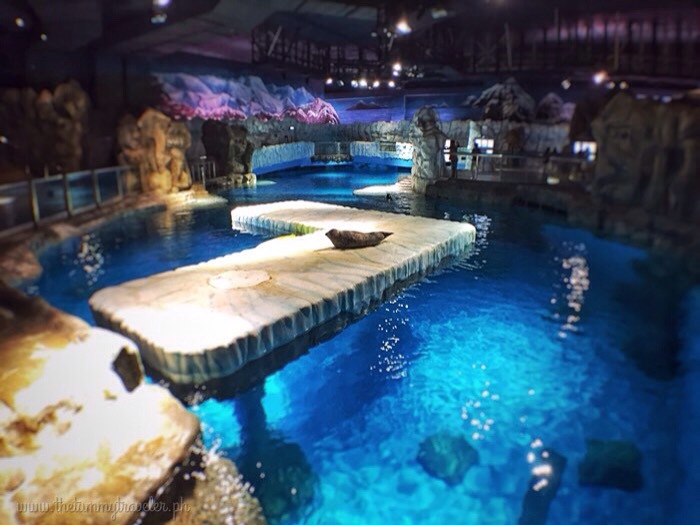 Ocean Park Hong Kong also features the amazing POLAR ADVENTURE! This “cool” attraction takes you to the Arctic and Antarctic without leaving the theme park! It simulates the natural environments of both the North and South Polar regions. 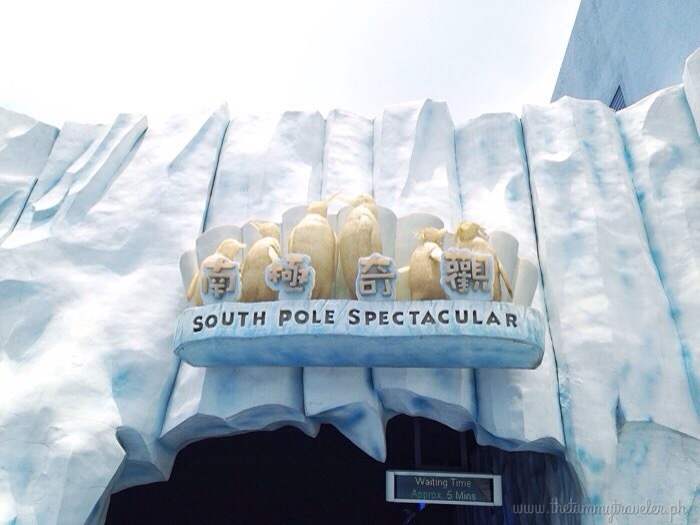 Two out of the nine attractions that I enjoyed the most are the North Pole Encounter and South Pole Spectacular. I wasn’t quite prepared dress-wise when I entered this area. Sporting a shirt, shorts and sandals, I was literally shaking at 15 degrees C! Upon entering the North Pole Encounter, I spotted some beautiful sea lions, seals and walruses. If you want to see the adorable penguins, transfer to the South Pole Spectacular. Maintained at around 8 degrees C, I thought I was going to freeze to death! Haha! But the coldness suddenly became bearable when I saw the lovable and cute penguins! This is a Gentoo Penguin up close! It’s as if this penguin was actually posing for the cam! 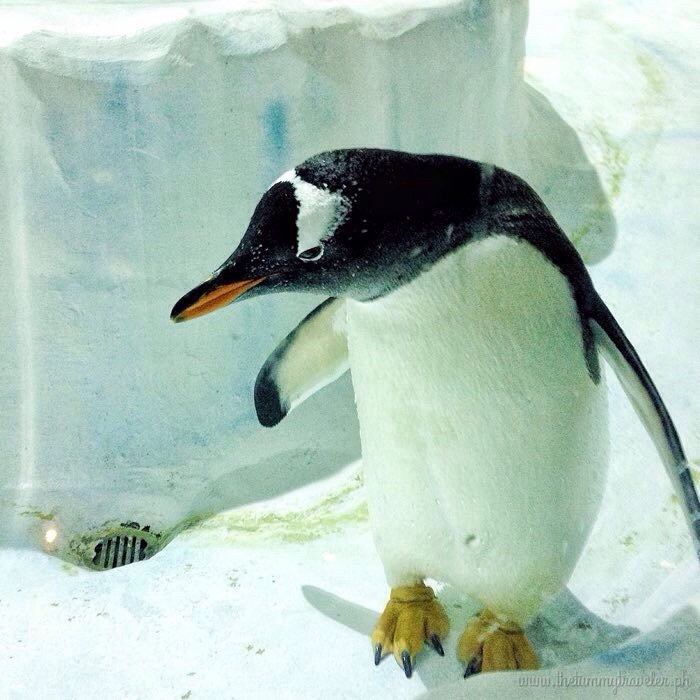 TRIVIA: Penguins waddle and look clumsy on land but can run faster than humans for short distances. They’re so fun to look at and watch as they move from one place to another! I wish I could stay here a bit longer. 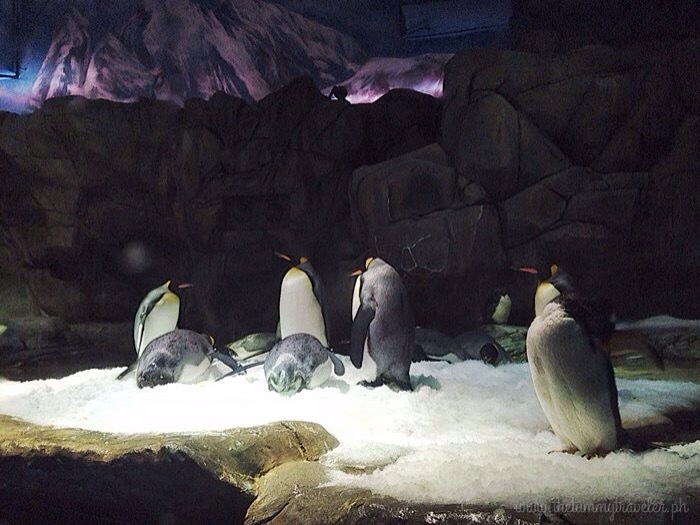 These penguins took away the pain from my tired and sore feet and somehow boosted my energy. Seriously! They are so cute! 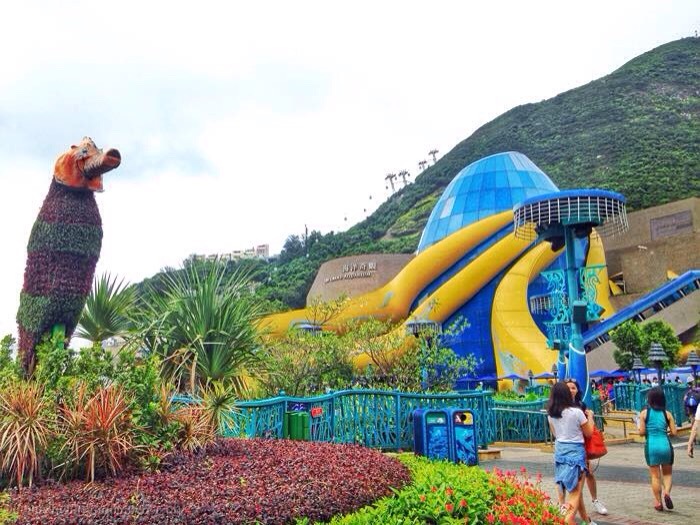 After your a ridiculously fun time inside Ocean Park Hong Kong’s freezing cold attractions (and if you are a thrill seeker), you will be happy to know that there are so many exciting offerings to choose from – just like the HAIR RAISER. It was an absolute hit to guests who love scary, scream-inducing rides! The Hair Raiser is Hong Kong’s first and only floorless roller coaster. Sorry, but I wouldn’t dare try it! Another place at Ocean Park Hong Kong that many of us were excited to check out was the <b>OCEAN THEATRE</b> where the dolphin show called, Ocean Wonders, was being held. 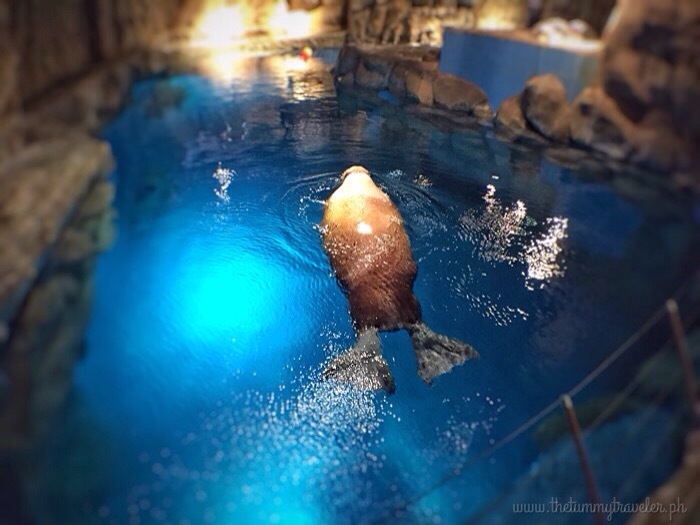 Watch the dolphins and sea lions up close and personal at this newly refurbished theatre. Here are some excerpts. Enjoy! We had a jam-packed day filled with fun and laughter which included long walks around Ocean Park Hong Kong that eventually got us tired… and hungry! Good thing there’s a handful of wonderful food establishments and food stalls inside the park. Not only will you love the food which by the way are ALL ORGANIC, you also get to watch over 70 penguins frolicking on the ice while enjoying your food. Kids will definitely love eating here! 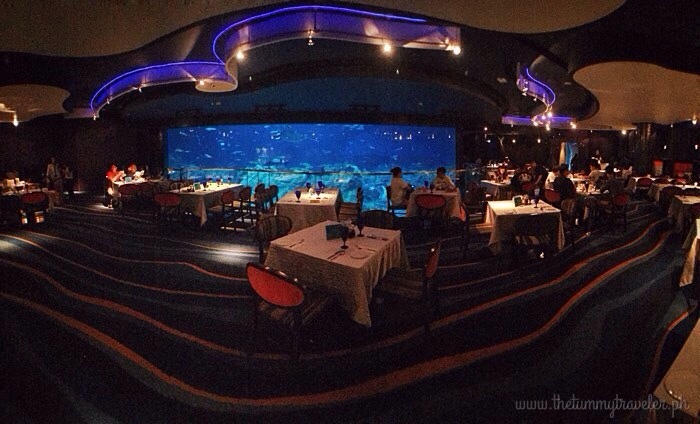 An all-day international dining experience with an unobstructed view of the Grand Aquarium’s main tank. This is Hong Kong’s first and only fine dining destination in an aquarium setting. 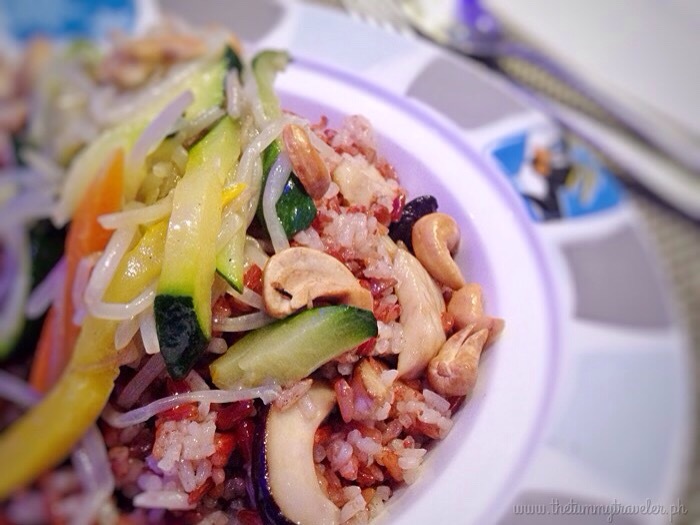 At Ocean Park Hong Kong’s Neptune Restaurant, they serve sustainably sourced food. From all their amazing choices, I decided to go for some good ‘ol steak! 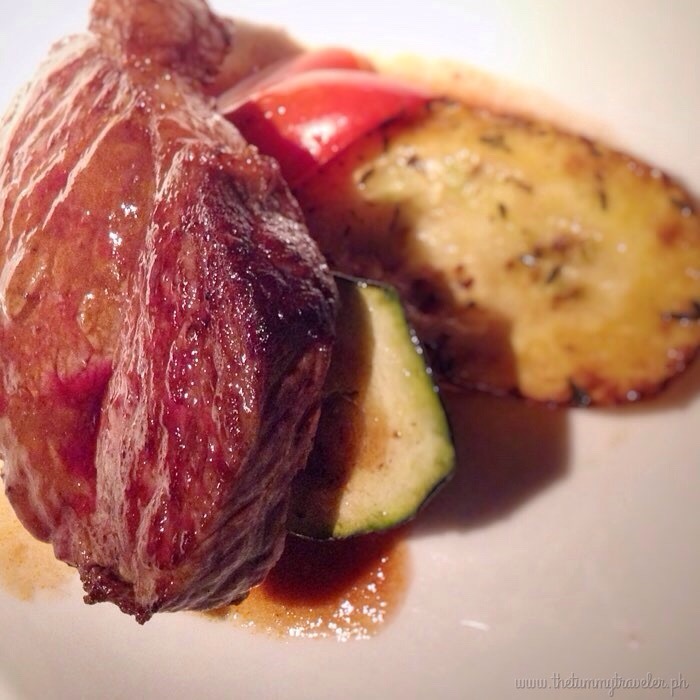 Broiled US Angus Beef Striploin with Red Wine Sauce. I also took a momentary pass from my usual diet that evening and rewarded myself with some delicious delights. 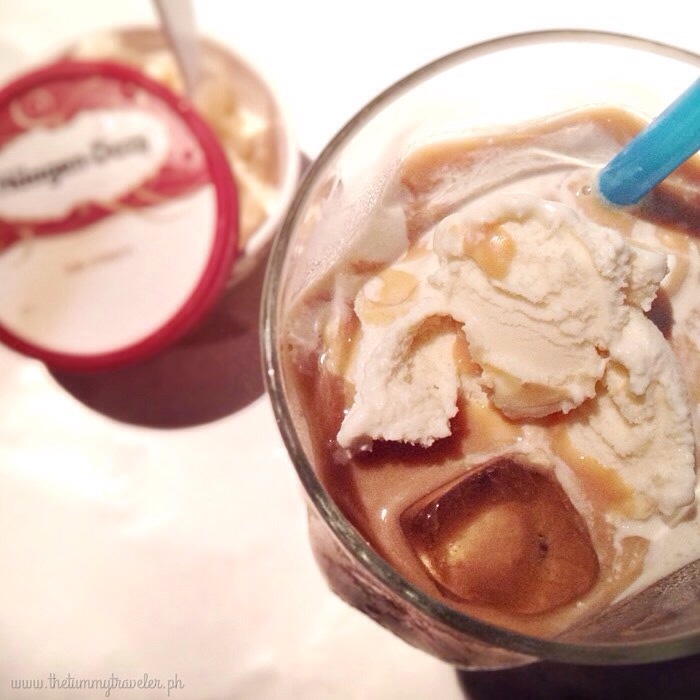 Since I ordered Milk Tea, I took 2 spoonfuls of my Häagen-Dazs Vanilla ice cream dessert and added it into my drink. Voila! This Milk Tea Float was the best treat after a long day! 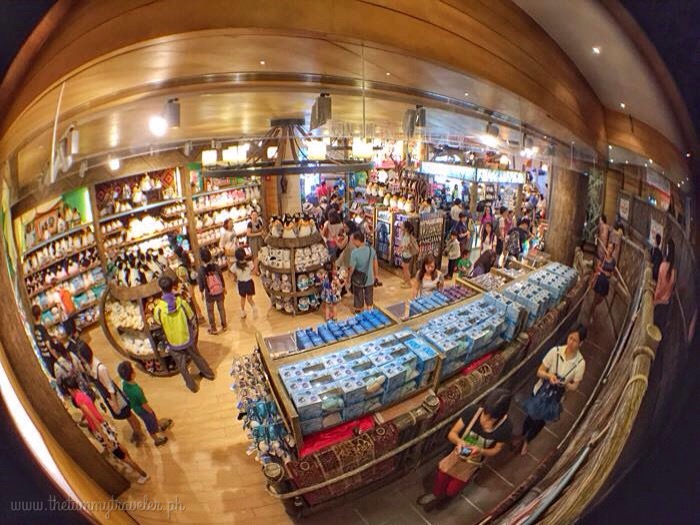 Before leaving, bring home some cool knick knacks by visiting Ocean Park Hong Kong’s souvenir shops strategically positioned everywhere. That’s it for now! I’ll leave you with a bit of jealousy, intrigue and good amount of playful imagination. 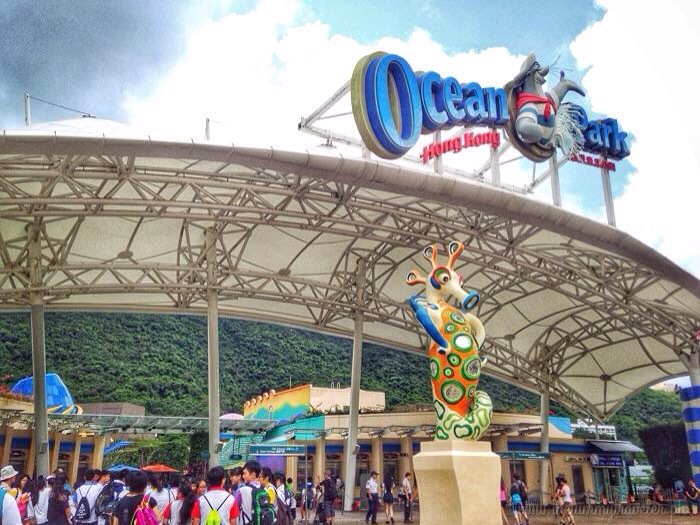 You’re probably already itching to book your next vacation and planning to spend a whole day at Ocean Park Hong Kong! If you plan to visit and take your kids to Ocean Park Hong Kong or maybe just want to unleash the kid in you, L’hotel Island South is the perfect hotel to stay at. They offer complimentary shuttle service to Ocean Park Hong Kong which only takes a travel time of less than 10 minutes. Love a healthy stroll? 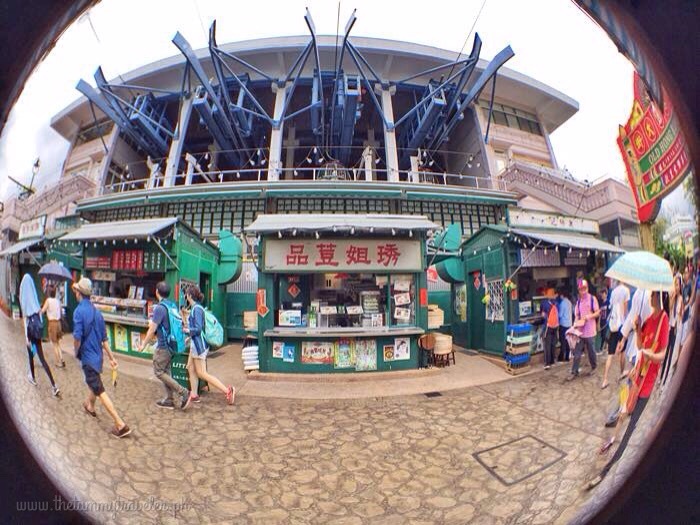 You can also walk it for about 15 minutes and do some fun sightseeing on your way to Ocean Park Hong Kong. Special thanks to AirAsia for making this trip possible. 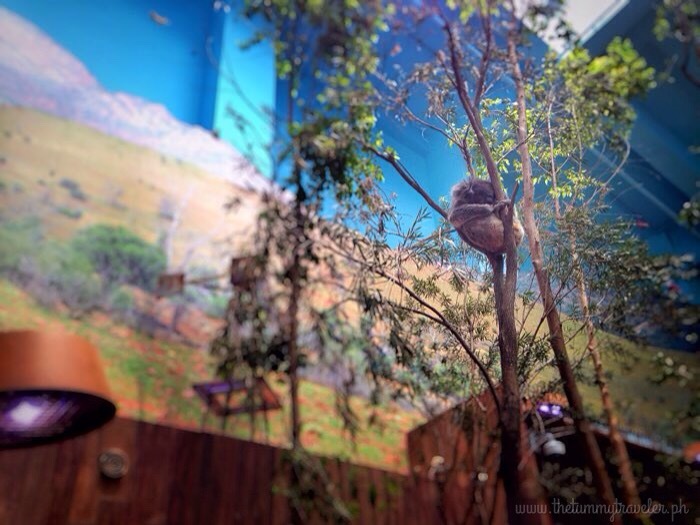 You are Here >> Home » Places » Ocean Park Hong Kong – Unleash the kid in you!